Posted by: Ash on June 2nd, 2015, in Guides. Tags: Amazon Rainforest, Cruises, Cusco, Peru, Protected Areas. Cusco is the archeological and tourism hub of Peru with a little over a million visitors each year gracing the city’s ancient streets. This was the hub and birthplace of the Inca Civilization that would dominate Peru until its fall in 1572 at the hands of the Spanish conquistadors. Because of its popularity, this is often where you will end up or prioritize on your visit to Peru. If you are interested in Nature, you will also be drawn to the Amazon Rainforest, which covers almost half of the South American continent and is the world’s largest container of wildlife. Manu provides one of the best places for visiting the Amazon from Cusco, but there are other options. Cusco is very central to the Amazon and you have different options available to visit the Amazon Rainforest from Cusco. For example, you are very close (about 20 minutes flight) to Puerto Maldonado, Peru’s gateway to the southern Amazon Rainforest where you can visit the Amazon of Tambopata and Manu (protected sections of the Amazon). However, you can also visit the northern Amazon Rainforest along the Amazon River from Iquitos in the north (direct flights from Cusco). 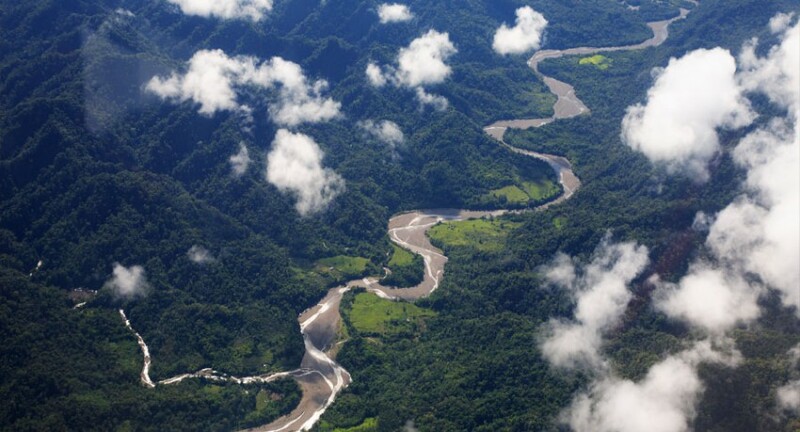 If you don’t want to fly, you also have the options of visiting the Amazon cloud forest of Manu National Park (very close to Cusco) and combining this with a descent by road down the Andes to the lowland Manu Amazon. We will go over some of the best options for these fascinating areas to make the most of your Amazon Rainforest visit. First, we will start with the easiest options, such as an Amazon Rainforest package option that includes Machu Picchu and packages for the cloud forest and lowland Amazon without needing a flight. The following options provide some of the best experiences of the Amazon that we have come across. After this brief list, we will go over some of the Amazon Rainforest sections in a little more detail, how to visit these Amazon areas from Cusco, and recommended tours, lodges and cruises. By using these contact bubbles, your message is sent directly to the owner of the respective tour for quick and accurate replies, free itineraries, booking and confirmation. For starters, a direct package tour from Cusco is the Bio Trip, which offers one of the best nature tours in South America. 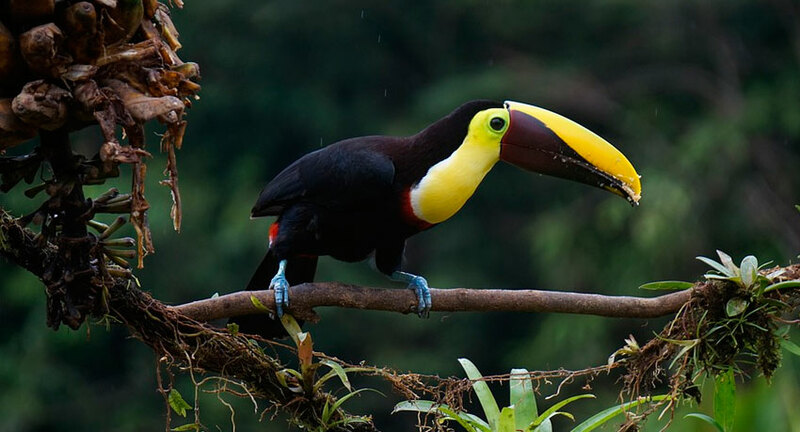 Visit the cloud forest near Cusco and head down the Andes to the lowland jungle for a stay at one of the best Amazon Rainforest lodges in Peru for wildlife, the Manu Wildlife Center. Puerto Maldonado is a very popular Amazon destination for visitors from Cusco, as the rainforest gateway is just a short flight away. Not only that, but Puerto Maldonado contains one of the best areas of rainforest to visit in the entire Amazon Basin. From Puerto Maldonado, you can decide whether you would like to visit the Tambopata or Manu region, as both areas are home to fantastic Amazon wildlife. The Tambopata National Reserve is very close to Puerto Maldonado, which makes this area the best place to visit in the entire Amazon if you’re interested in a short visit of 2 or 3 days. This is because it only takes about 30 minutes to reach wildlife-rich areas. Usually in the Amazon, you are required to travel 4 or 5 hours by river to reach the Amazon areas with abundant wildlife, which will eat into your available time if you only want a short tour. Puerto Maldonado is the exception to the rule. The top lodges for short tours from Puerto Maldonado include Posada Amazonas, Sandoval Lake Lodge, and Refugio Amazonas Lodge. You also have the new Amazon Villa for a more private experience with WiFi in the rainforest. 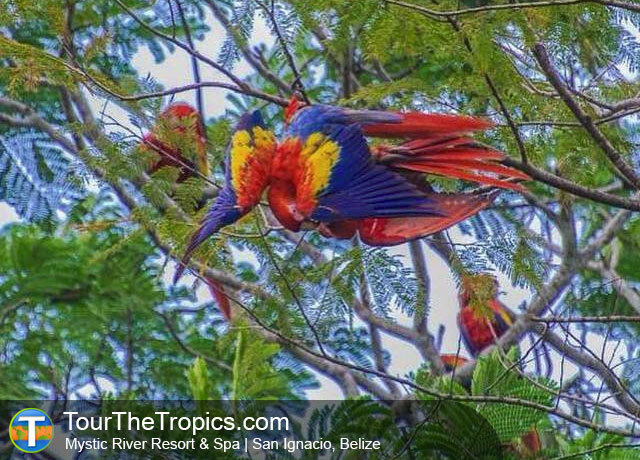 To see colorful macaw parrots at clay licks, you can choose the deep jungle lodge of Tambopata Research Center for an in depth experience of the Amazon and 20% chance of spotting wild jaguar. This deep rainforest lodge offers more wildlife and higher chances of seeing the larger and more elusive animals. Manu is more famous and the region itself contains arguably more animals and plants. 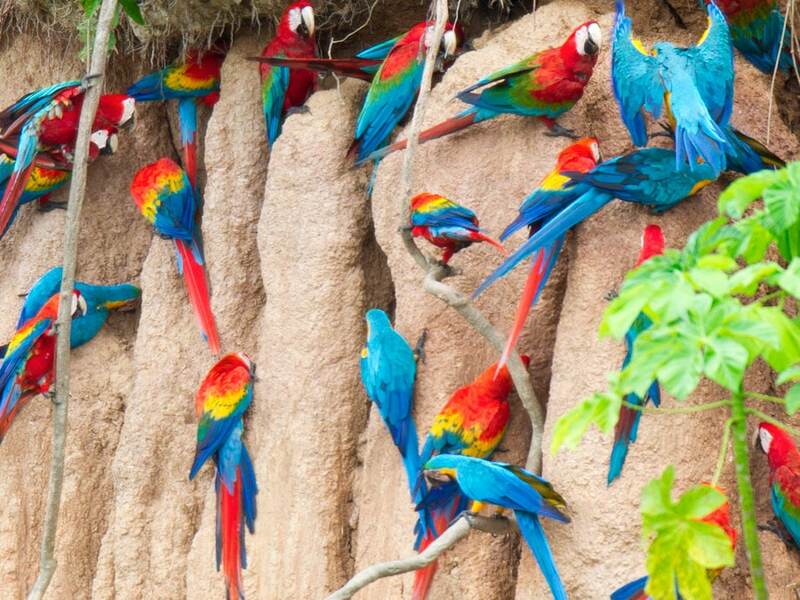 From Manu Wildlife Center, located near the Manu National Park, you can see giant river otters, tapir at the tapir lick and hundreds of brightly colored Macaw parrots at the Macaw colpa. 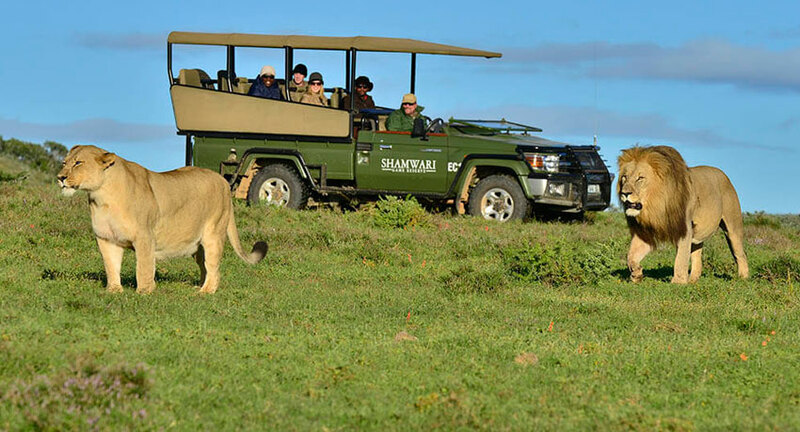 You can also combine Manu Wildlife Center with the Manu Tented Camp to get inside the Manu National Park itself and into its reserved zone. You can also have a 10% chance of spotting jaguar sunning itself or prowling the forest. 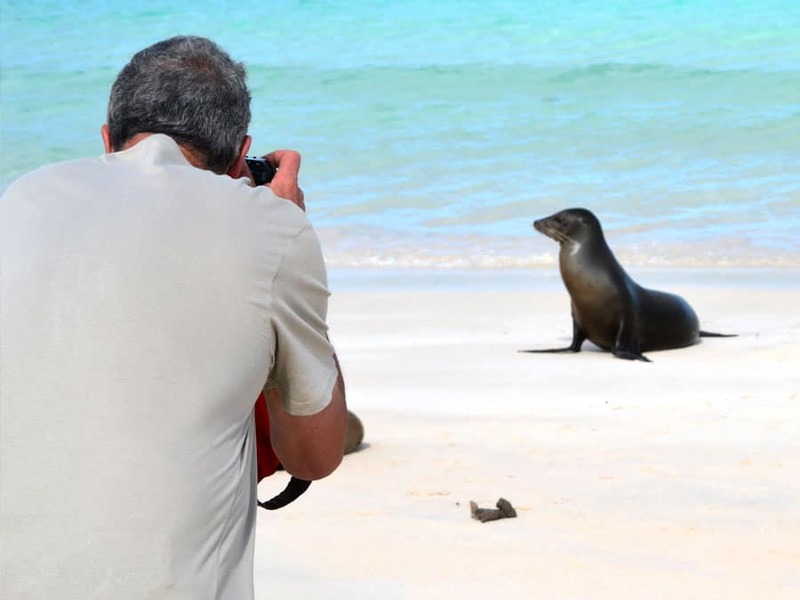 To get the best wildlife opportunities, we recommend the Manu Adventurer. Iquitos is the gateway to the Amazon Rainforest near the Amazon River. This is the best destination for fantastic Amazon River cruises and a great choice for deep Amazon lodges to see abundant wildlife. Because of the size of the city, if you’re interested in a tour of 3 days or less and want to make the most of your time in the Amazon, you should focus on the Amazon Rainforest tours from Puerto Maldonado. This is because the pristine rainforest with abundant wildlife is located at least 120 km along the river from Iquitos itself. When in protected areas of the Amazon this far from Iquitos, such as the Tamshiyacu Tahuayo Reserve or Pacaya Samiria National Reserve, the level of animals and plants is extraordinary. You will see several different monkeys, many colorful birds, fascinating reptiles, chance sightings of giant river otters, butterflies, and hopefully some rarer wildlife. For the Tamshiyacu Tahuayo Reserve, you can enjoy a custom and private Amazon Rainforest tour from the Tahuayo Lodge. On stays of 6 days or more, you will also visit the Amazon Research Center with its 1000 acre primate trail grid and more pristine rainforest. Enjoy the longest zip line in Amazonia and a very long list of itinerary options. The lodge will also able to help with your connecting flight from Cusco. If you want to experience the Amazon Rainforest from a cruise and you’re based in Cusco, Iquitos Amazon River tours are your only option. 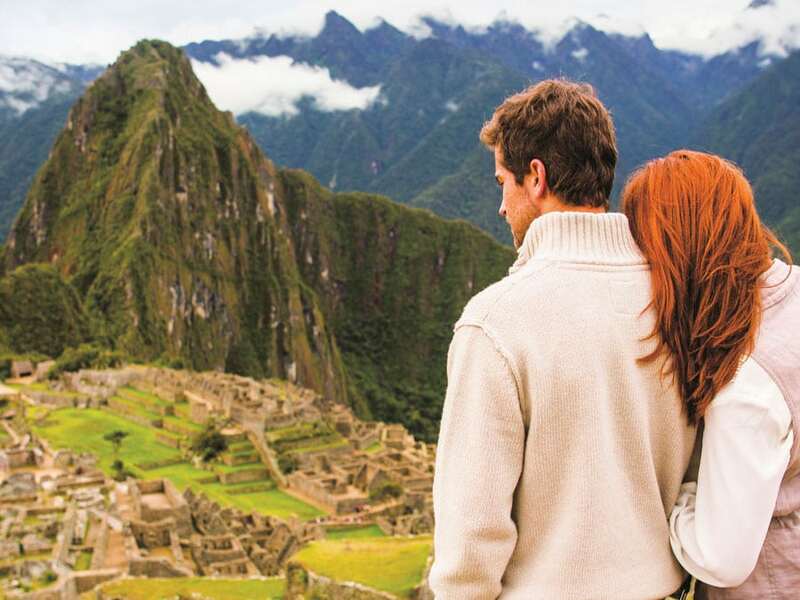 This isn’t a bad thing as there are many different options including the majority of the best cruises in South America. 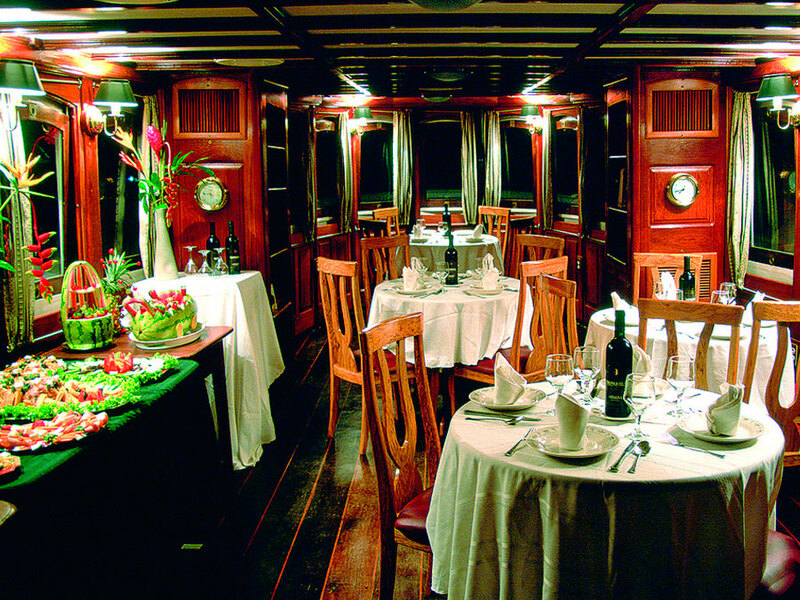 Our recommendation for a truly amazing experience of the Amazon aboard a luxury cruise is the Delfin II or Delfin I. To see a video of the Delfin I and Delfin II from Iquitos, you can see the clip below. 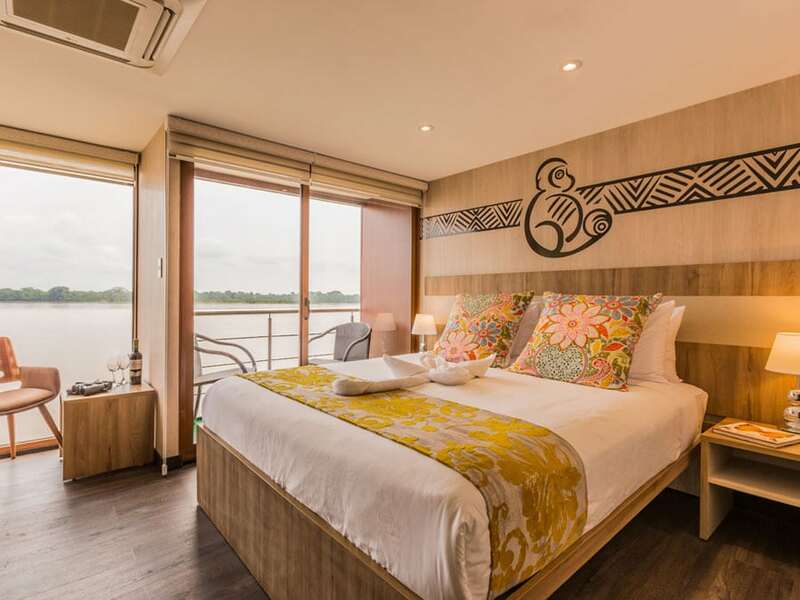 Although not as luxurious, there is also La Perla Amazon Cruise from Iquitos (a short flight from Cusco) for a comfortable Amazon River experience. Enjoy traveling deep into Amazonia with guided expeditions to find incredible animals and plants.